Skrulls-sign! 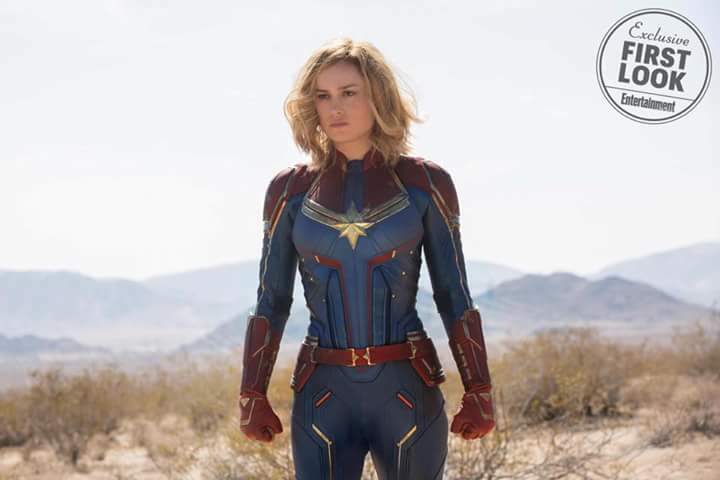 CAPTAIN MARVEL pics are up! 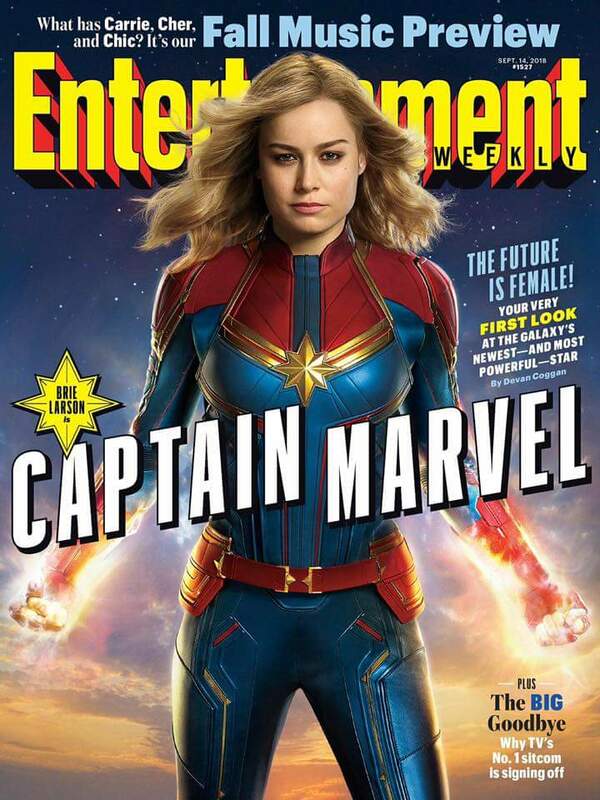 Hey folks, Entertainment Weekly just posted some exclusive CAPTAIN MARVEL pictures! Bree Larson as CAPTAIN MARVEL! She rocks that suit! 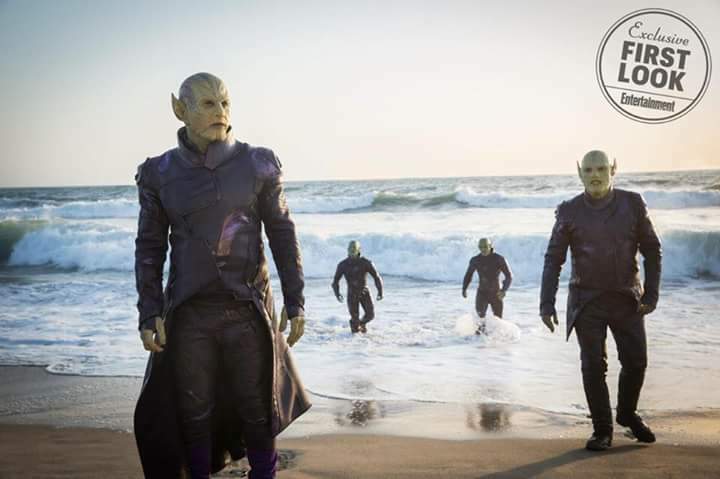 Go, hunt, kill Skrulls, on a beach! 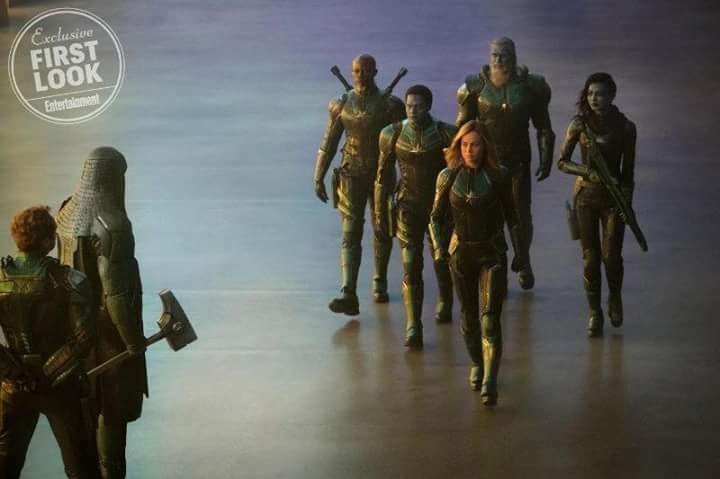 Captain Marvel's slow-walk posse with Ronan the Accuser pre-GOTG! 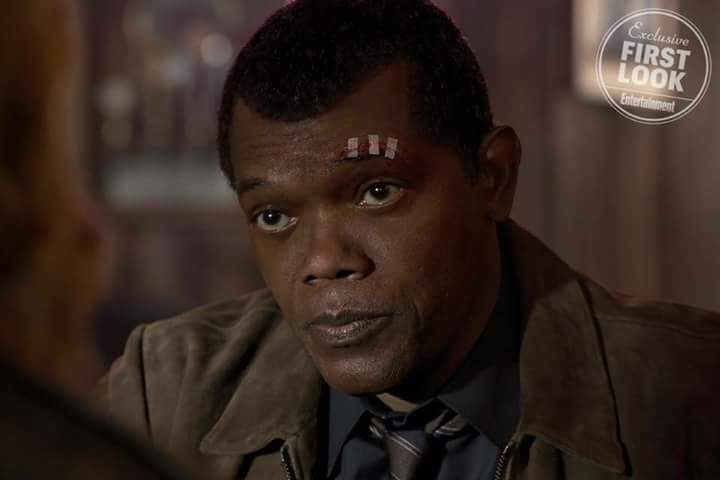 A de-aged Samuel L. Jackson as Nick Fury, AGENT of SHIELD!